All of the switches shown below are covered by a waterproof cover to provide weather proofing. This should prevent all but the very worst of weather entering the switch mechanism. 12 volt systems are not affected by water so far as arcing in concerned. These are our most popular waterproof switches. They are triple rated switches 10 Amp at 12 & 24 Volt and 6 Amp at 240 Volt. Left: Input to the switch. Center: Output to your device. 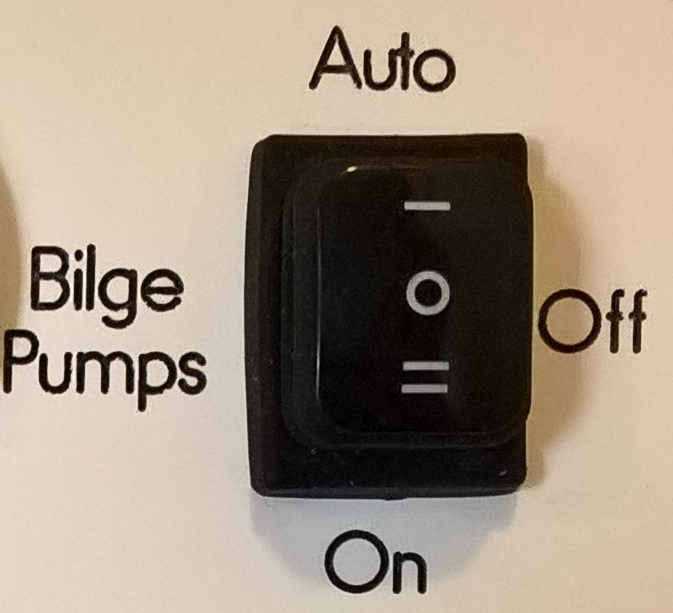 Right: Negative to light the switch. This pole is redundant for 240 volt (no attempt should be made to light at 240 volt). The cost shown below includes wiring to the left pole and right pole where appropriate. Double action ON/OFF/ON, Double circuit rocker switch. This waterproof switch are often used for applications such as bilge pumps which have a 'auto' and 'on' function. This switch however is unusual in allowing two circuits to be energized by a single switch. So for example a port and starboard or fore and aft pump can be controlled by a single switch and be supplied by two different battery packs.